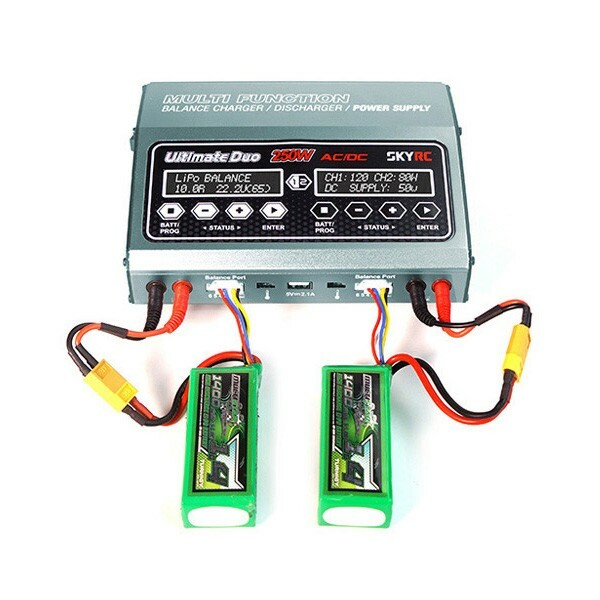 SkyRC D250 is a twin channel charger with two independent circuits which can charge 2 batteries of various chemistries (LiHV/ LiPo/ LiFe/ LiIon/ NiMH/ NiCd/ PB) simultaneously, moreover, its Synchronization mode allows users to set up 2 channels synchronously, that will save time while charging same kind of batteries. 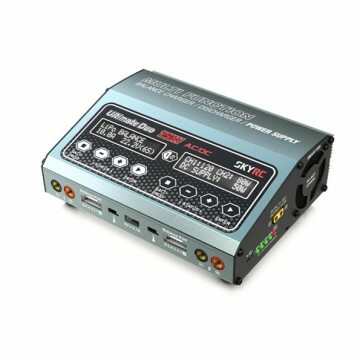 Capable of operating as a power supply with the maximum output of 150W helps the hobbyists to power their DC equipment. With its unprecedented function of voice guide, even a green hand can use this charger without any hurdles. The implement of black screen makes it looks elegant and sophisticated. 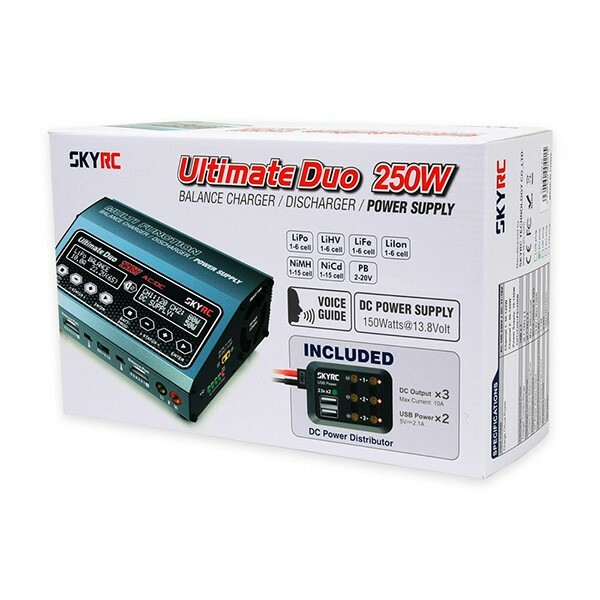 While using AC input, the total power of 250W can be reasonably allocated among channel 1/ channel 2 and DC power supply, to make the most of the SkyRC D250. 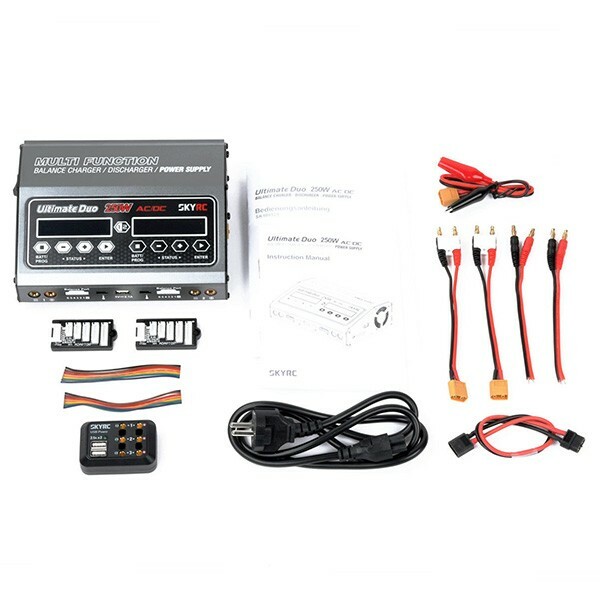 To make the charger more user friendly and customizable. A speaker which guides user in English has been installed in the left side of the charger, and that can effectively help reducing misoperation.